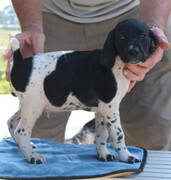 This is a picture of the her litter mate that is almost solid white- my dad is going to kill a bird over him. 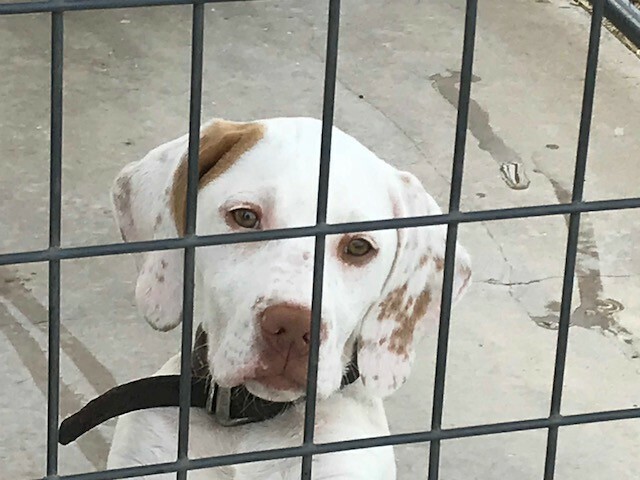 This is also a picture of the female (Daisy)that is almost solid white (her right side and left side almost solid white_ and her sister that is Tri-color, the sire of the puppies is in the back. He is almost 12. This was his first litter, so I can't tell you how often it happens. About 2 years ago I was like , I don't have a puppy to carry on this litter so I started looking for females to breed to him. I finally brought a couple to breed to him. Even old dogs still love wing on a string. I'm not sure if this pup is going to make a bird dog?? The person who says he can & the person that says he can't are both right! Who do you want to be? You know he will. Fine looking pup. 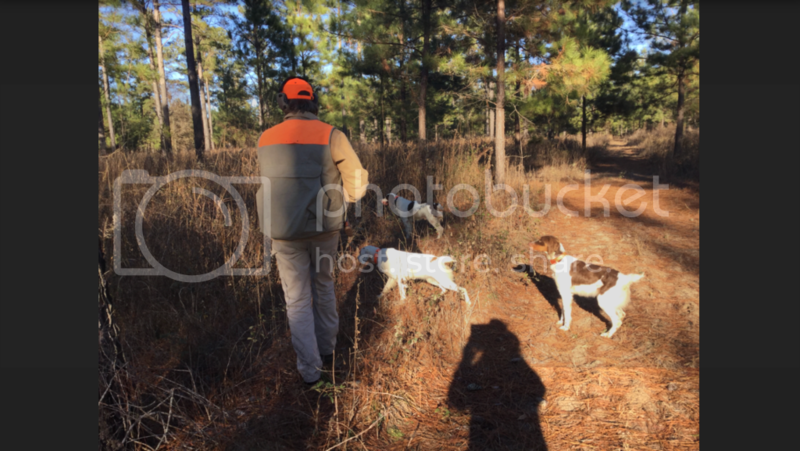 Have you ever heard bird dog trainers say....."I don't even start working a bird dog till he's a year old". 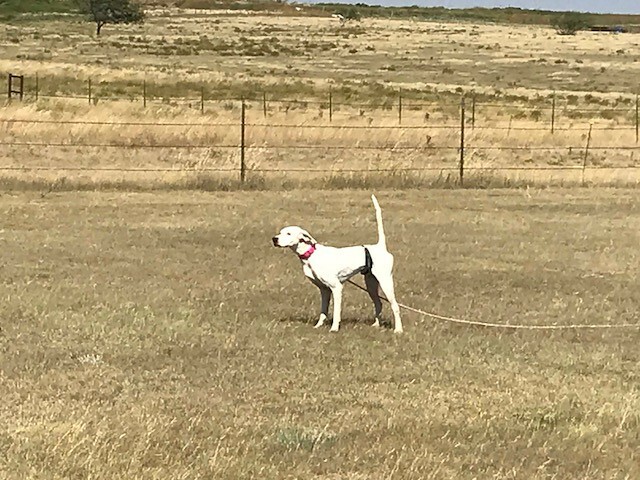 When my father and me raised pointers back in the the late 60’s thru mid nineties if they weren’t pointing by theirselves at six months of age, we found them a new Home. Here are some photos sent from the new owners of puppies from our last litter! (Whelped 2/19/18) They are around 12 wks old in the photos. There's one more pup that went to north GA, too. A gun's like a woman it's all how ya hold her. One of a few puppies I bred, raised, and kept for further development. This is Annie from Southern Country Kennels at 9 weeks and 7 months. Great little English Cocker full of bird! This is Diddy. She is 7months now. We just got her from a lady that hadn't worked much with her. We are doing obedience training now, and just playing fetch with a tennis ball. She does water retrieves and a pretty decent job of it. Youngster getting ready for first trial season. English cocker pups from our dam Magnolia. Those are a fine looking set of future grouse dogs!! My new GSP. Nine weeks old.